Keeping proper accounts is not only a statutory requirement under the various laws affecting voluntary organizations but also a requisite for enhancing credibility in the eyes of all stakeholders. 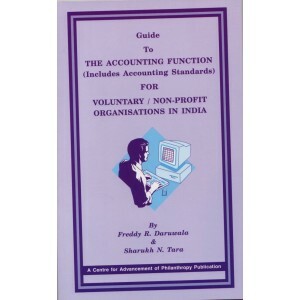 This resource book will help voluntary organizations in India understand the accounting function. There is also a useful section on accounting standards. The book is authored by Freddy R Daruwala (chartered accountant) and Sharukh N Tara (cost accountant).